10 x 13" Inter-Office Mail Envelope size: 10 x 13"
Envelopes available Pre-printed or with 1 color or 2 color printing. Pre-printed on face and back in black ink with 56 name spaces. Punch with eight 3/8" holes. String and button closure. Inter-office Mail envelope, 10 x 13" enevelope, 28 lb brown kraft paper stock with pre-printed face and back in black with 56 name spaces. Eight holes, sting and button. This 10x13 envelope has a Catalog style flap that opens on the shortest end. This envelope is constructed with center seams and 28lb brown kraft paper stock making it more durable than the 24lb Catalog Envelopes. Why does the Inter-Office Mail Envelope have holes? 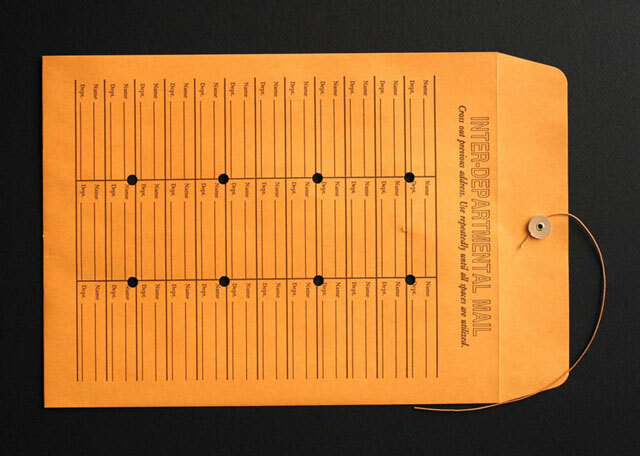 By drilling holes, the envelopes are able to get past some US Postal codes for regulations. If the envelope is totally closed, it fits into these codes and violates the law. The other common answers also make sense. 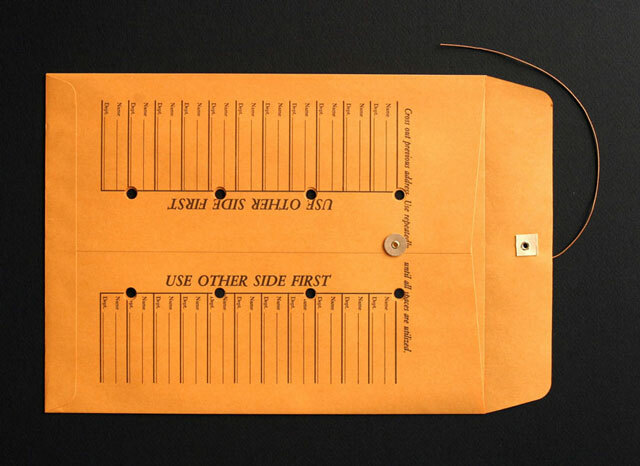 The holes drilled in the envelope allows you to see if the envelope contains anything, without having to untie the string to look inside the envelope. Use this to send flat, bulky materials or multiple small items like coins, catalogs and jumbo cards. Flap is on the short side with a string and button closure, helping to keep things from falling out after opening.